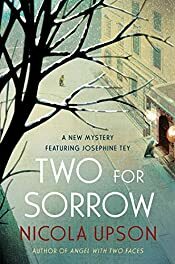 Here's another newly discounted (to 99 cents) crime novel we found today, this time from HarperCollins: Two for Sorrow, the third mystery in the "Josephine Tey" series by Nicola Upson. Josephine Tey was a real person, the pseudonym used by Scottish crime novelist Elizabeth Mackintosh, who wrote a number of mysteries in the "Inspector Alan Grant" series as well as stand-alone novels from 1929 through 1952. Nicola Upson sets her stories in the early 1930s, near the beginning of Tey's career. They were the most horrific crimes of a new century: the murders of newborn innocents for which two British women were hanged at Holloway Prison in 1903. Decades later, mystery writer Josephine Tey has decided to write a novel based on Amelia Sach and Annie Walters, the notorious "Finchley baby farmers", unaware that her research will entangle her in the desperate hunt for a modern-day killer. A young seamstress — an ex-convict determined to reform — has been found brutally slain in the studio of Tey's friends, the Motley sisters, amid preparations for a star-studded charity gala. Despite initial appearances, Inspector Archie Penrose is not convinced this murder is the result of a long-standing domestic feud — and a horrific accident involving a second young woman soon after supports his convictions. Now he and his friend Josephine must unmask a sadistic killer before more blood flows — as the repercussions of unthinkable crimes of the past reach out to destroy those left behind long after justice has been served. Important Note: Any prices mentioned above were correct as of the date and time of this post. Prices are subject to change without notice. The price displayed on the vendor website at the time of purchase will be the price paid for the book. Please confirm the price of the book before completing your transaction. Here is this week's list of new games — many of which include elements of mystery and suspense — available to purchase and download from Big Fish Games. 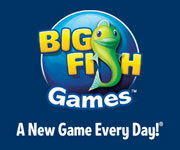 We're using a script to embed an RSS feed from Big Fish Games, which is updated daily, but if you cannot see the box below — or have scripts blocked — you can use this link to see the relevant page on BigFishGames.com. We were looking through some older Poisoned Pen Press titles on Amazon.com and noticed that the publisher has recently — since the weekend, since we're sure we would have seen it when we updated our list of Kindle mysteries for $2.99 or less — lowered the price of the first two books in the "David Mapstone" series of mysteries by Jon Talton, to 99 cents and $2.99, respectively. We wanted to pass along this news sooner than later … and if they're still priced at these levels this coming weekend, we'll add them to our weekly update. Having recently lost his job as a history professor, David Mapstone returns to his boyhood home of Phoenix, Arizona, to find the city dramatically changed. It's now a haven for wealthy retirees and a seasonal retreat for West Coast "sophisticates". But pockets of his earlier life — some welcome, some not — remain. Mapstone eagerly accepts a temporary job from his old friend and Maricopa County Chief Deputy Mike Peralta: Look into still-open cases and see if he can close any. He is beginning to settle into his new job when his college sweetheart appears at his door one evening. True to his memory of her, she is there because she wants something. Her sister is missing and she wants Mapstone to look for her. 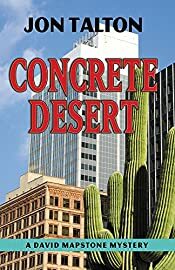 Mapstone's search for the missing woman is quickly resolved when her body is discovered in the desert, but he is stunned to find the dead sister in circumstances identical to a sensational 40-year-old unsolved murder. Mapstone's dogged investigation of both murders bridges the chasm of clashing cultures, meshing his own long-ago memories with the tangled doings of newcomers and their acolytes, young women eager to share the lifestyle of tainted wealth, drugs, and careless violence. 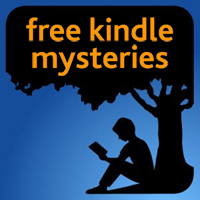 Also available at a discounted price: Camelback Falls, the second mystery in this series. Over the weekend we featured the Olympics TV spot for the film Skyfall; now we have the first US trailer for the latest in the "James Bond" series of thrillers (embedded below). The film — if the trailer is any indication — has a great look to it. And while much more of the storyline is presented here, we still can't find an "official" synopsis, only the few words issued by the studio many months ago: "Daniel Craig is back as James Bond 007 in Skyfall, the 23rd adventure in the longest-running film franchise of all time. In Skyfall, Bond's loyalty to M (Judi Dench) is tested as her past comes back to haunt her. As MI6 comes under attack, 007 must track down and destroy the threat, no matter how personal the cost." 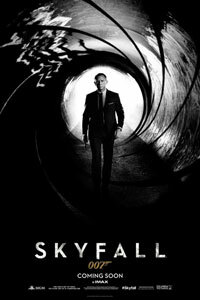 Directed by Sam Mendes from an original screenplay by John Logan, Neal Purvis and Robert Wade, Skyfall opens in the UK on October 26th, 2012 and in the US on November 9th, 2012. 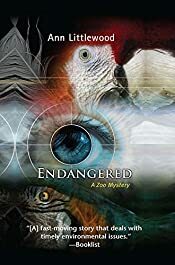 Publisher synopsis: Zoo keeper Iris Oakley is sent to a remote farm in Washington State to rescue exotic animals after a drug bust. Instead of pets, she finds smuggled parrots and tortoises destined for sale to unscrupulous or unsuspecting collectors. The zoo’s facilities are full, and she ends up with two macaws shrieking in her basement. The marijuana grow operation and the meth lab are the cops’ problem. The smuggling side-line is hers. An outraged Iris is determined to break the criminal pipeline that snatches rare animals from the wild and leaves them neglected in old barns. Then she discovers a woman who escaped the bust—dead. Iris has stumbled onto a violent crime, something far too dangerous for a widow with a young son. But it’s too late to untangle herself. Brothers from the farm, both murder suspects, invade her home, demanding information she doesn’t have. Iris flees with her child, but soon her only option is to go on the offensive. People she counts on are not who they claim to be. A friend is shot during a break-in at the zoo and may not survive. Hunting for the brothers, Iris sorts through baffling clues and trips over secrets old and new. Why steal an ordinary drinking glass? Why do the brothers think she knows where their father’s fortune is hidden? Could the noisy parrots be hiding crucial information in plain sight? She realizes a key piece is missing, but finding it means confronting a determined killer. The winners of the annual RITA Awards were announced this past weekend by the Romance Writers of America, honoring romance fiction published in 2011. Also announced were the winners of the Golden Heart Awards honoring unpublished novels. Contemporary Series Romance, Suspense/Adventure: Soldier's Last Stand by Cindy Dees (Harlequin). Romantic Suspense: New York to Dallas by J. D. Robb (Putnam). In addition, the RITA Award for Best First Book went to a mystery: First Grave on the Right by Darynda Jones (St. Martin's Press). Finally, the Golden Heart Award for Romantic Suspense went to Elizabeth Bemis for her manuscript "Edge of Deception". 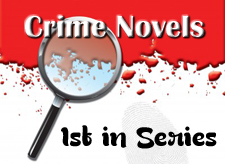 We are delighted to welcome novelist Richard M. Vickers to Omnimystery News today. Richard's chilling new thriller is Woodlife (Rambrook House, February 2012 ebook). "Sometimes death is only the beginning …"
Richard suggested we title his post, "I already know that!" And he's also giving one of our readers a chance to win a copy of his book; details below. Write about what you know. That's the general advice often given to new writers. So I did. Of course, much of what I know wouldn't ordinarily interest you, the reader. A lot of it doesn't even interest me – though it can come in handy when hit with a quiz question on a subject so obscure nobody could reasonably be expected to know the answer. Better still, some of this seemingly irrelevant knowledge has found its way into the pages of my novel, Woodlife, where it does a more than respectable job of helping prop up the story. Having rummaged around for some considerable time in that cluttered cranial basket marked "Things I Know," I finally plucked out a few choice specimens I thought might provide suitably inspiring material. While it's obviously impossible to know everything about any given subject, I thought with my initial selection I was standing on fairly firm ground. Football — or soccer to those of you from the western side of the big pond — has been a life long interest of mine. I've played it, coached it, refereed it and supported it for more years than I care to admit. I just had to find room for it somewhere. Woodlife's leading male character is Nick Wheaton, and I decided to make him an ex-footballer. He's a pretty laid back sort of a bloke, not prone to overexcitement. Dependable and solid, he just had to be a former goalkeeper, the last line of defence in any football team. Nowadays, after a serious head injury ended his playing career, he designs and makes high-quality wooden furniture. As a former interior designer, I've been able to furnish him with a little of my knowledge of that particular industry. Please pardon the rather weak pun, those of you who noticed it. Valerie Bain, Woodlife's leading female character, is so spontaneously unpredictable it would scarcely have been fair to confine her within the limits of my own scant knowledge. Even I didn't know how she was going to behave half the time. I cut her loose and we learnt together as the story progressed. From time to time I fed her pertinent titbits of information from my own memory banks which she often used to her own advantage. On occasion I had to turn a blind eye. She's a little less fussy about adhering to the letter of the law than I am. One aspect of novel writing where it makes perfect sense to rely on what you know, particularly in respect to contemporary stories set in the real world, is when choosing the locations in which your story will unfold. After all, if you're going to take your readers to a place they've never been, you need to paint them an accurate enough picture that they can visualize being there themselves. You also want to convey an authentic atmosphere for the place, something that is extremely difficult if you've only ever visited via Google maps and street cam. Some of the settings in Woodlife are real; others are fictitious, though they have their real-world equivalents. I've visited them all at one time or another. If I can make the readers believe they are strolling the same street as Nick or peering in the window of the same stately home as Valerie, then I've done at least part of my job as a writer. Pre-conquest British history has always fascinated me and has provided the material for many of my magazine articles over the years. Although the few thousand years between the Bronze Age and the fall of the Saxons have long fascinated scholars and romantics, little of the day-to-day life of that period has been documented by reliable contemporary sources. Most of what we do know comes courtesy of the archaeologist's trowel, which, naturally enough, leaves plenty of room for conjecture — perfect for exploitation by the imaginative writer. 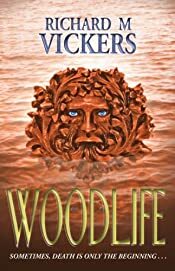 I felt honour-bound to weave a good few strands of this mysterious past through the plot of Woodlife, though I did my best to ensure these tied in with the few known facts that are agreed upon by experts. The largely rural English county of Wiltshire is the setting for much of the action in Woodlife. As the home of Stonehenge, Amesbury and Silbury Hill, it is inherently steeped in ancient history; yet few places also exude such an air of deep, spine-tingling mystery. If it isn't its rolling fields peppered with mist-shrouded stone circles and Iron Age hill forts that leave visitors bewildered and bewitched, it's the more contemporary enigmas of crop circles and UFOs. Probably that is why I've been drawn back so many times over the years. It would have been remiss of me at this stage not to also toss an element of the supernatural (another of my pet interests and an excellent tool for helping to blur the boundaries between the real, physical world, and that which exists only in our minds) into the melting pot. Of course, Nick with his psychic powers (a result of that head injury I mentioned earlier) might have a few things to say on the subject. A couple of decades ago I spent some time working in a huge sports arena topped by an inflatable domed roof. The job was, more often than not, monotonously boring. At the time I would have been hard pushed to come up with an experience I thought less likely to provide key material for a suspense-packed mystery thriller. How wrong I would have been. The insight I gained into the operation of this type of structure played a crucial part in making the dramatic conclusion to Woodlife all the more credible. Proof indeed that even the most mundane knowledge can be transformed into something immensely useful with just a sprinkle of imagination. Richard M. Vickers was born in Manchester, England. A keen interest in all things otherworldly goes back to his early childhood and remains with him to this day. He still likes a good mystery and constantly finds himself in the center of at least one on an almost daily basis. Sadly, they're usually of the "Why aren't the car keys where I put them only five minutes ago?" or "How come there's a large blue stain on the carpet when everyone in the house swears blind they weren't responsible?" variety. Richard has written numerous magazine articles and short stories on supernatural and historical themes. He is also the author of The Tiger's Tale, a mystery book for young readers. He is currently working on Mystery Island, a collection of short works tying together Britain's supernatural and historical heritage. On those occasions when he doesn't have a pen in hand he often has a whistle instead — maintaining his life-long love of football as a referee. Valerie Bain only ever plays by her own rather flexible rules. Unfortunately, when the self-styled "private facilitator" takes on a risky yet highly lucrative assignment, she soon finds her mysterious new employers haven't bothered to read them. Having to choose between life and death in order to collect her fee was one thing she never bargained on. Nick Wheaton's long football career was brought to an abrupt end by a serious head injury. The former goalkeeper now runs a moderately successful furniture manufacturing business, but the injury left him with a curious psychic ability which is at once a gift and a curse. It is only when the life of a former lover hangs in the balance that he discovers how powerful an asset it can be. And deep in rural Wiltshire, the Edbury District Council is staging a pre-Christmas rock concert. Intended to help boost an ailing local economy, when event manager Ged Matheson does the maths nothing quite adds up. Strange townsfolk and an even stranger discovery soon have him yearning for the comparative normality of his London home, but fate has other ideas. Nestled at the feet of an ancient and enigmatic hill figure, Edbury appears to be the focal point for sinister forces whose tentacles reach far beyond the sleepy country backwater. When death appears to become an irrelevance, will Britain's future be overtaken by her dim and distant past? 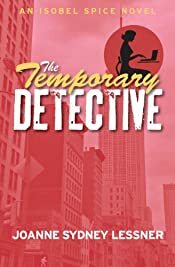 MystereBooks is pleased to feature The Temporary Detective by Joanne Sydney Lessner as today's third free mystery ebook. Phones, light typing … and murder. Think breaking into show business is hard? Try landing a temp job without office skills. That's the challenge facing aspiring actress Isobel Spice when she arrives in New York City, fresh out of college and deficient in PowerPoint. After being rejected by seven temp agencies for her lack of experience, Isobel sweet-talks recruiter James Cooke into letting her cover a last-minute vacancy at a bank. New to his own job, and recently sober, James takes a chance on Isobel, despite his suspicion that she's a trouble-magnet. His misgivings are borne out by lunchtime, when she stumbles across a dead secretary in a bathroom stall. With her fingerprints on the murder weapon, Isobel sets out to prove her innocence by investigating the crime herself. While learning to juggle phone lines and auditions, she discovers an untapped talent for detective work — a qualification few other office temps, let alone actresses, can claim. 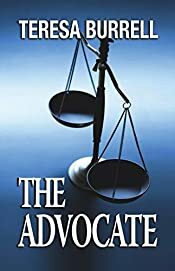 MystereBooks is pleased to feature The Advocate by Teresa Burrell as today's second free mystery ebook. Suffering from the mysterious disappearance of her brother five years before, Sabre Brown has handled nearly every case imaginable as a children’s legal advocate. That is, until her partner gives her the easiest case on the roster—advocating for two children taken from their parents after a potentially abusive argument. Sabre’s gut tells her there’s more amiss than meets the eye, and her gut is rarely wrong. As she digs into the history of this broken family, Sabre discovers a web of deceit, corruption, and murder that spans the continent. 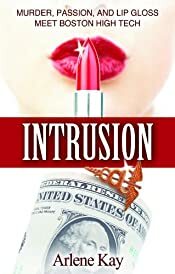 MystereBooks is pleased to feature Intrusion by Arlene Kay as today's free mystery ebook. Young widow Elisabeth Buckley sleepwalks through life until her best friend's murder changes everything. To avenge his death and salve her own conscience, Elisabeth plunges into the high-stakes world of a Boston biotech firm where a ruthless killer stalks his prey. Along with her makeup maven pal Candace, Elisabeth confronts a host of suspects including a randy cardiologist, a cash-strapped scientist and a gorgeous Frenchman who makes her dizzy. Can she find the murderer and reclaim her own life, or is Elisabeth the next victim? 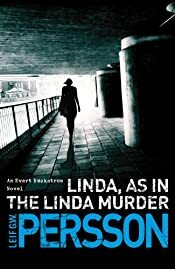 CBS has ordered a pilot for Backstrom, based on a character created by Swedish crime novelist Leif G. W. Persson. The project is being developed by Hart Hanson, who is also behind the Bones series on Fox, which is based on the mysteries by Kathy Reichs. Last year we reported that Fox was committed to a pilot for the series, but apparently that never moved forward. In the middle of an unusually hot Swedish summer, a young woman studying at the Vaxjo Police Academy is brutally murdered. Police Inspector Evert Backstrom is unwillingly drafted in from Stockholm to head up the investigation. Egotistical, vain and utterly prejudiced against everything, Backstrom is a man who has no sense of duty or responsibility, thinks everyone with the exception of himself is an imbecile and is only really capable of warm feelings towards his pet goldfish and the nearest bottle of liquor. If they are to solve the case, his long suffering team must work around him, following the scant few leads which remain after Backstrom's intransigence has let the trail go cold. This title is not yet available in the US. It will be published by Doubleday in the UK in October, 2012. 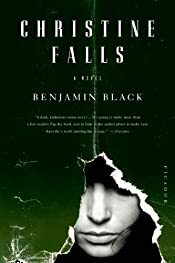 Christine Falls by Benjamin Black. A Quirke Mystery. First Appearance: March 2007. Black's protagonist is Dublin pathologist Quirke, and the mysteries in the series — there are, to date, four with the fifth, Vengeance, to be published next month — are set in the 1950s. The author describes Quirke as "a tall, powerful character more at ease among the cold silent slabs than the company of his fellow men" and yet through his investigations he "discovers that the living might just be every bit as captivating as the dead." The publisher, Henry Holt, is currently offering the ebook formats of this first in series for just $3.99. We think you'll find Christine Falls just as we did, an "elegantly crafted book with [a] haunting story [that] is deeply satisfying." It's not the dead that seem strange to Quirke. It's the living. One night, after a few drinks at an office party, Quirke shuffles down into the morgue where he works and finds his brother-in-law, Malachy, altering a file he has no business even reading. Odd enough in itself to find Malachy there, but the next morning, when the haze has lifted, it looks an awful lot like his brother-in-law, the esteemed doctor, was in fact tampering with a corpse — and concealing the cause of death. It turns out the body belonged to a young woman named Christine Falls. And as Quirke reluctantly presses on toward the true facts behind her death, he comes up against some insidious — and very well-guarded — secrets of Dublin's high Catholic society, among them members of his own family. 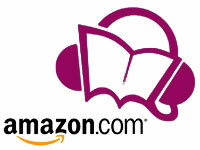 Here is this week's list of the top ten bestselling mystery and suspense audiobooks (books on CD). 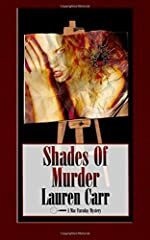 We've just published our Review of Shades of Murder by Lauren Carr. A Mac Faraday Mystery. Acorn Book Services Trade Paperback, May 2012. 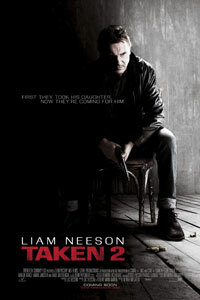 A new US theatrical trailer for the thriller Taken 2 has been released by studio (via Yahoo! Movies), which we've embedded below. Liam Neeson reprises his role as Bryan Mills, a retired CIA agent who stopped at nothing to save his estranged teenage daughter Kim (Maggie Grace) from Albanian kidnappers — the storyline from the 2008 film Taken. When the father of one of the kidnappers swears revenge and takes Bryan and his wife hostage during their family vacation in Istanbul, Bryan enlists Kim to help them escape, and uses the same advanced level of special forces tactics to get his family to safety and systematically take out the kidnappers one by one. Directed by Olivier Megaton from a screenplay by Luc Besson and Robert Mark Kamen, the film opens on October 5th, 2012. Telemystery, your source for one of the most comprehensive listings of crime drama, amateur sleuth, private investigator, mystery and suspense television series, mini-series and made-for-television movies, now available on or coming soon to DVD or Blu-ray disc, is profiling one series being released this week. Luca Barbareschi stars as Commissario Franco Soneri in the Italian crime drama Nebbie e Delitti (Fog and Crimes), based on a character created by mystery author Valerio Varesi and set in the Ferrara region of the country. Almost as inscrutable as the River Po itself, Soneri stands brooding at crime scenes chomping on a cigar, trying to see what others are missing. Nebbie e Delitti (Fog and Crimes): Season One is available on DVD and consists of four episodes that originally aired on Rai TV in 2005: "The River of Fog", adapted from the first book in the series, Il fiume delle nebbie, which also gives the drama its title; "Rooms for Rent"; "Trying to Forget"; and "The Mystery Film Club". The episodes are in Italian with English subtitles. 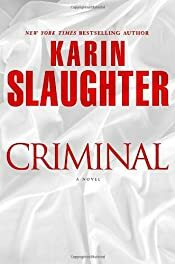 Karin Slaughter's Criminal: Enter to Win a Copy of this Will Trent Mystery! 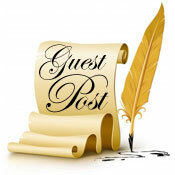 We are thrilled to welcome crime novelist Karin Slaughter as our guest today, courtesy of Authors on the Web. Karin's new mystery is the latest in her "Will Trent" series, Criminal (Delacorte Press, July 2012 hardcover, audiobook, and ebook formats), an epic tale of love, loyalty, and murder that encompasses forty years, two chillingly similar murder cases, and a good man’s deepest secrets. We have the opportunity to give away a copy of Criminal to two of our readers; details below. A long-time resident of Atlanta, Karin Slaughter began her rural Georgia "Grant County" mysteries in 2001 with Blindsighted, which introduced series characters Dr. Sara Linton, the town’s pediatrician and coroner; Jeffrey Tolliver, her wayward ex-husband and chief of police; and Lena Adams, the county’s only female detective. Georgia Bureau of Investigation agent Will Trent was introduced in the 2006 novel Triptych, though he has made a couple of appearances in Grant County of the years. In addition to her series books, Karin is also the author of the darkly comic stand-alone Martin Misunderstood, published in 2008. For more information about Karin and her books, please visit her website at KarinSlaughter.com. Flash back nearly forty years. In the summer Will Trent was born, Amanda Wagner is going to college, making Sunday dinners for her father, taking her first steps in the boys’ club that is the Atlanta Police Department. One of her first cases is to investigate a brutal crime in one of the city’s worst neighborhoods. Amanda and her partner, Evelyn, are the only ones who seem to care if an arrest is ever made. Now the case that launched Amanda’s career has suddenly come back to life, intertwined with the long-held mystery of Will’s birth and parentage. And these two dauntless investigators will each need to face down demons from the past if they are to prevent an even greater terror from being unleashed.